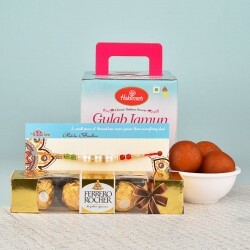 If you are looking for something special for this Raksha Bandhan, we have just the right goodies for you. Whether you want to surprise your Brother or your Sister, we have something amazing for both. Order online and make this festival special for your childhood buddies living in Pune. For all the lovely Brothers and Sisters living in Pune, we have a Surprise! 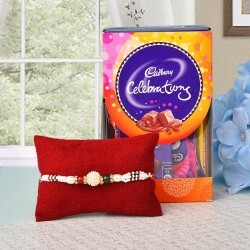 Raksha Bandhan is the celebration of the adorable relationship that a Brother and a Sister share. It is celebrated throughout the country with utmost gaiety. Brothers and Sisters exchange many gifts and promises to make this day special. If you or your Brother and Sister live in Pune, then, you are in for a treat. MyFlowerTree is serving in Pune to make the festival of Raksha Bandhan amazing for the Childhood buddies. 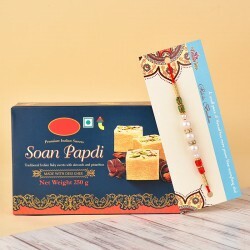 Check out website for the best Raksha Bandhan Gifts and make this day memorable for all the Brothers and Sisters by sending rakhi gifts to Pune. To celebrate the beautiful festival of Raksha Bandhan, Sisters tie Rakhi on their Brother's wrists. 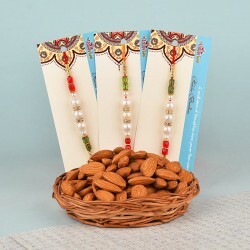 It is natural for every Sister to shop for a Rakhi that is unique and beautiful. They go from store to store to look for that perfect thread which could strengthen her relationship with her Brother. Your entire search ends here as we have the most beautiful Rakhis for Pune. You can send rakhi to Pune in just one day with us. We have special Bracelet Rakhi, Silver Rakhi, Kundan Rakhi and more. 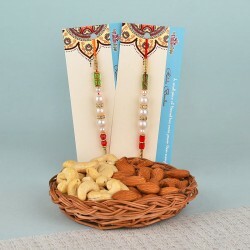 Our Rakhis have special motifs on them like Peacock, Elephant, Ganesha and Flowers. These are colourful and auspicious. These Rakhis will make this Day Special. 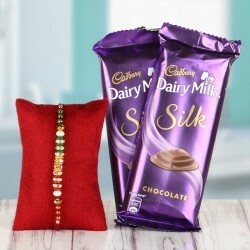 Send Rakhi to Pune online and make it memorable. Sending a Rakhi is not enough. So, on this Raksha Bandhan, send a perfect gift to your Brother. Send Rakhi with Greeting Cards to him. 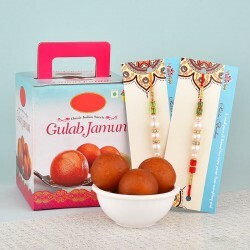 We also have special sweets like Gulab Jamun, Kesari Gandheri, Rasgulla and Kaju Katli. We also have Dry Fruits like Almonds, Cashew Nuts, Pistachios and Raisins, decorated in beautiful trays. You can wish your Brother the best of health with these treats. You can also send your Rakhi to him along with a Mug or a Cushion or both. These Mugs and Cushions have the best Raksha Bandhan quotes and designs on them. You can even personalise them by getting a favourite photo or your own message printed on them. So, send rakhi anywhere in Pune or any other place in India with MyFlowerTree's Same Day Rakhi delivery services. 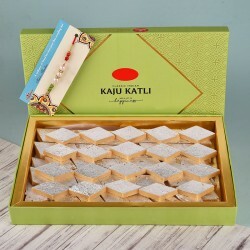 If you want to make this Raksha Bandhan sweet and fragrant, you can do that by surprising your Brother with amazing Flowers and Cakes from our Raksha Bandhan collection. Send Rakhi to Pune same day and pair it with fresh flowers or cakes. Our range of Flowers include beauties like Roses, Carnations, Gerberas, Lilies, Orchids and Birds of Paradise, available in colours like Red, Pink, Purple, Yellow, Orange, Blue and White. All these Flowers are arranged beautifully in special Bunches, Bouquets and other arrangements. Our Cake section has flavours like Black Forest, Chocolate, Pineapple, Vanilla, Strawberry, Chocolate Truffle, Butterscotch, Mango and various other exotic Flavours like Kiwi, Mixed Fruits, Coffee, Caramel, KitKat, Gems, Oreo, Cheesecake, Ferrero Rocher, Marble and much more; you can make him the happiest Brother. These Cakes are available in shapes like Round, Rectangle, Heart shape and Square. 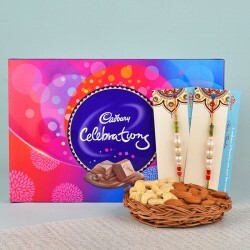 With such amazing Raksha Bandhan gifts, you are sure to have the best celebration this year. Have fun on this special Day.